Sally Cline, a British award-winning biographer and short story writer, recently published the biography Dashiell Hammett: Man of Mystery (Arcade). She received a Dorot Foundation Postdoctoral Research Fellowship in Jewish Studies from the Harry Ransom Center in 2003-2004, which supported her work in the Dashiell Hammett and Lillian Hellman collections. Below, Cline answers questions about her new Hammett biography. You have previously conducted research on both Dashiell Hammett and his lifelong companion, Lillian Hellman. 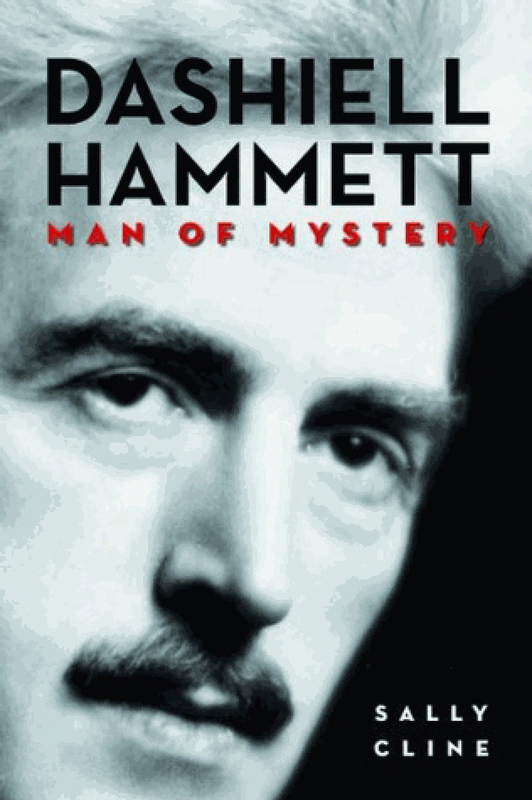 What led to you revisit the topic and ultimately to write a biography of Hammett? Publishers were more interested in having separate smaller biographies about Hammett and Hellman than the big joint biography I had envisaged. The American publishing firm Arcade commissioned a compact biography of Hammett, and that is what I wrote. I have, of course, a great deal more research material left on Hellman as an individual and Hellman in relation to Hammett, so I plan to also write a short study of Hellman using the theme of memories and myths. What aspects of Hammett’s character and work are of special interest? His writing, of course, and in particular the way in which he transformed and subverted the detective novel. Through his moral vision expressed in every book he wrote, he effectively elevated the genre of mystery writing into the category of literature. His near-nihilistic philosophy (especially his root idea that the world is ruled by meaningless blind chance), which becomes the thematic context to all his work and much of his behavior. Relevant to this interest is my choice of the anecdote about Flitcraft (in The Maltese Falcon), which stands out as his most memorable piece of nonfiction prose. Ironically, despite the fact the anecdote was key to the novel’s theme, when John Huston made the most famous of the several films about the Falcon, he left it out. Hammett would have appreciated the irony. I am interested in another irony whereby a writer whose creed is moral ambiguity and random results chooses to write crime novels that are generally predicated on linear clues and an orderly progression of facts. I am interested in his relationship to other men and to women. He always preferred male company but was terrified of being thought homosexual. Yet, apart from his affectionate and initially sexually successful relationship with his wife Josie, he did not have a genuinely equal sexual, emotional, and interdependent relationship with any other woman, not even Lillian Hellman. He coped sexually by using prostitutes and was sometimes violent towards women, especially when drunk. Two more things fascinate me. One is his series of debilitating illnesses that made him virtually an invalid in an era when masculine identity was predicated upon robust health. Real Men were not sick! The other part that intrigues me, as it has intrigued his many other biographers, is his long literary silence. What I felt was important was not the myth that he stopped writing—indeed as his daughter Jo testified, he never stopped writing; he merely stopped finishing. But the sad fact is that despite the constant agonized writing, he never again published a full novel after The Thin Man. How did the Ransom Center’s archives serve you in your research process? Did they provide any new insights and/or understandings of Hammett? The Center’s archives provided an enormous amount of information, which along with Hammett’s own family helped answer many of my most significant questions. Two people at the Ransom Center in particular must be singled out: Margi Tenney and Pat Fox. I have so far held four or five fellowships at the Ransom Center over a great many years, and in every case these two women have been unfailingly helpful, flexible, kind, efficient, and brilliant in making my work flow and focus. Image: Cover of Sally Cline’s Dashiell Hammett: Man of Mystery. Julie M. Rivett is the granddaughter of Dashiell Hammett, celebrated twentieth-century novelist and author of The Maltese Falcon. Together with Richard Layman, Rivett published The Hunter and Other Stories, a collection of Hamett’s little-known and previously unpublished works. Below, Rivett discusses her investigation of her grandfather’s archive and the clues and information she uncovered therein. How did your study of Hammett’s archive at the Harry Ransom Center deepen your understanding of your grandfather’s character and career? For any serious researcher, opportunities to spend hands-on time with primary source materials are enlightening and exhilarating beyond compare. For me, as both researcher and granddaughter, the experience is doubly gratifying! Hammett is a fascinating figure. But he’s also family—Grandma’s husband, my mother’s father, and a grandfather I can just barely remember. What I know of him has been learned almost entirely posthumously, beginning with my mother’s recollections, family photos, and the letters he sent to his wife and daughters. For me, the Hammett story unfolds outward from those personal connections—from the private man to a public figure. The Hammett collection at the Ransom Center informs the counterpoint, preserving closely held remains of my grandfather’s professional life. These are the papers that he (and, later, Lillian Hellman) saved and tended for decades. Because I know that my grandfather was not a saver, I know that these surviving drafts, typescripts, and working notes must have been important to him. Some are good starts—stories he believed were worth developing. Others are complete but unpublished—perhaps incompatible with his hardboiled reputation or perhaps pieces he’d hoped to revisit. Many bear his emendations—an education in editing, to be sure. The collection makes it easy for me to envision my grandfather as a serious craftsman, pencil in hand, sorting and reading and revising, nodding at the best and frowning at the thought of what might have been. It’s a window into professional technique, ambition, and frustration—but for me, it’ll always be personal, too. Can you describe your archival research process, particularly while working at the Ransom Center? When Richard Layman and I decided to co-edit a collection of unpublished and rarely published Hammett fiction, we had a pretty good idea of what we wanted to include—mostly from the cache at the Ransom Center. Rick went back to the materials he’d collected during prior research trips and for previous proposals. I began to review online finding aids and other potential resources. It was clear that this project would require a fresh, tightly focused visit to the archive. In March of 2011 we met in Austin, where we spent days going over each Hammett work, front and back, page by page. Reviewing the main text was only part of the job—that can be done nearly as well with facsimiles. But we needed to see and feel the paper, to examine typing and handwriting, to cross-reference various iterations, to consider abandoned drafts on typescript versos, and to watch for the faintest of pencil marks or the tidiest of cut-and-paste jobs. We needed to be both scholars and detectives, tapping our overlapping perspectives in a search for clues to inform content, establish chronology, and contextualize within Hammett’s literary history. While we would have months of work ahead of us back home afterwards—organizing, creating commentary, proofreading, and more—that archival research at the Ransom Center remained a highpoint of our editorial process. How does The Hunter and Other Stories enrich Hammett’s literary canon? How do the stories digress from his previously published works? How are they similar? One look at The Hunter’s table of contents reveals its most surprising aspect—only four in the collection are categorized as “crime stories.” Instead, my grandfather’s fiction hinges on human conflict, difficult decisions, and irresolvable situations. Crime often lingers at edges of the stories—in, for example, “The Cure” or “Monk and Johnny Fox”—but it’s the relationships among the characters and the tensions within them that dominate the telling. The stories, considered in context, also reflect the storyteller’s biography. My grandfather wanted to be more than a crime writer. The Hunter provides evidence of his struggles to that end. 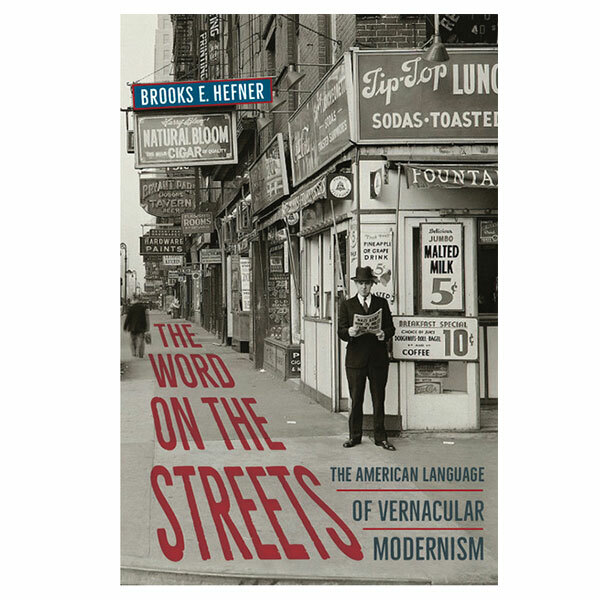 Rick and I are enormously pleased to be able to provide general readers with access to these works, in part because they’re well written and insightful and, in part, because they help to break down stereotypical notions of Hammett as a genre author. Differences in content also point to similarities in substance. In truth, even Hammett’s crime fiction is driven primarily by character exposition. 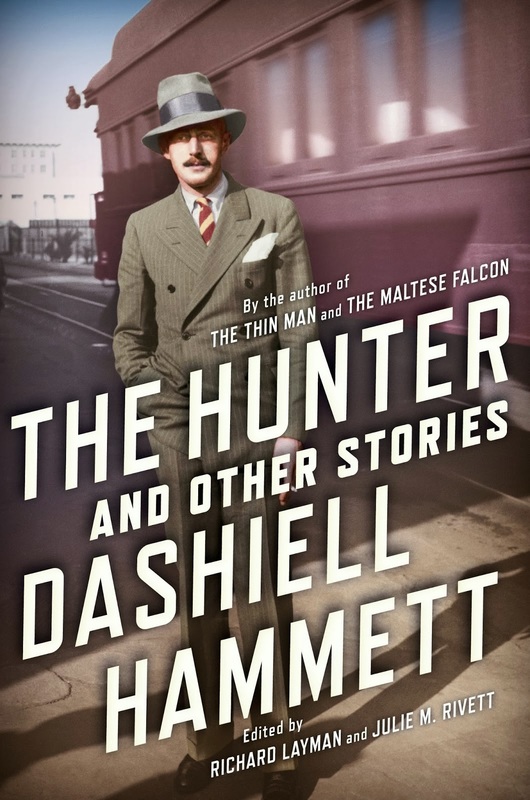 “What I try to do,” explained my grandfather in 1929, “is write a story about a detective rather than a detective story.” I would suggest that after reading The Hunter, Hammett fans go back and reread the novels or the Continental Op stories with Hammett’s emphasis on character in mind. Watch Sam Spade as he observes and anticipates Brigid’s or Gutman’s manipulations. Follow Ned Beaumont and Nick Charles as they untangle the blood ties that both bind and kill. Beneath their various schemes and misdeeds, Hammett’s narratives are always more about characters, and the solutions, if they exist, grow out of the detectives’ canny understanding of human nature. As I see it, the most enduring impact of my grandfather’s fiction is the melding of insightful observation, philosophical depth, and rollicking good stories. The Hunter provides back-story on the ambitions and processes that made that possible. Image: Cover of The Hunter and Other Stories, co-edited by Julie M. Rivett and Richard Layman.